In this Non Surgical Hair Replacement procedure, we customize a human hair system for the client based on their own hair color, density, size etc and then style the same so that it looks extremely natural. 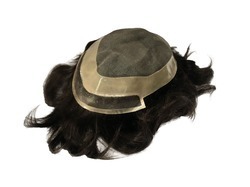 We fix this systems on the scalp of the patient using various adhesive and non adhesive methods. These systems are available in various qualities. New Hair Style Has Introduce A unique & New Bollywood Hair Style. Any Person facing Baldness or Hair Loss Can Choose His/Her Own Unique Style According To Your Age & Fashion Trends. We Have 2 Hours Process Only & You Get Your New Hair Look. It Is Very Cost Effective Treatment. 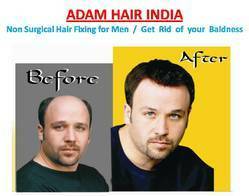 We do Hair fixing, Hair bonding, Hair weaving, Hair Silicon valley. We have started new showroom at Valsaravakkam in the name of "Modern Hair Studio". behind Valsaravakkam panchayat office at reasonable price. We do servicing for all age group people from 400rs to 2000rs for hair bonding, weaving etc..
new patch hair available from 8000rs to 25000rs. Being a pioneer in the business, we are occupied with assembling, exchanging and providing a subjective scope of Hair Weaving Service. The customers can choose the best hair system of choice. These designs have proven very beneficial as it beautifies the persona. These hair systems are also durable. We are indulged in offering the finest quality Hair Weaving Service.